Leonor Silveira at the 62nd Cannes Film Festival. 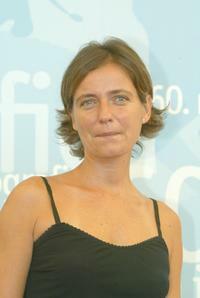 Leonor Silveira at the premiere of "Miracle At St. Anna" during the 34th Deauville American Film Festival. Leonor Silveira at the 60th Venice Film Festival. Director Manoel de Oliveira and Leonor Silveira at the Venice International Film Festival. Leonor Silveira at the photocall of "Espelho Magico" during the 62nd Venice Film Festival.